Did you know cabin rentals are becoming more popular for those seeking a getaway? From travelers looking to unplug to vacationers with no desire to sleep on the ground in a tent, renting a cabin for the weekend is the perfect solution to get out of town and get in touch with nature. You have a beautiful cabin, but you only use it part of the time. What better way to keep it occupied and make a little money than to turn it into a cabin rental? A short-term rental, that is. After all, you want to be able to use it when you’re available. So how do you get in on the cabin rental market? You’re not really interested in building a website, figuring out how to market it, and investing a large amount of time and money into the process. Can you even do that successfully as a sometimes-rental? Turn your attention to Airbnb. Airbnb is an online marketplace for people to rent short-term lodging around the world. It’s a popular site, which means you’ll have a better chance of your cabin rental being found by those interested in renting it. But how do you get started, and what steps do you need to consider before signing up and renting your cabin out to the first taker? 1. Start with the legal stuff. Now, don’t give up before you begin. The legal stuff is generally simple. 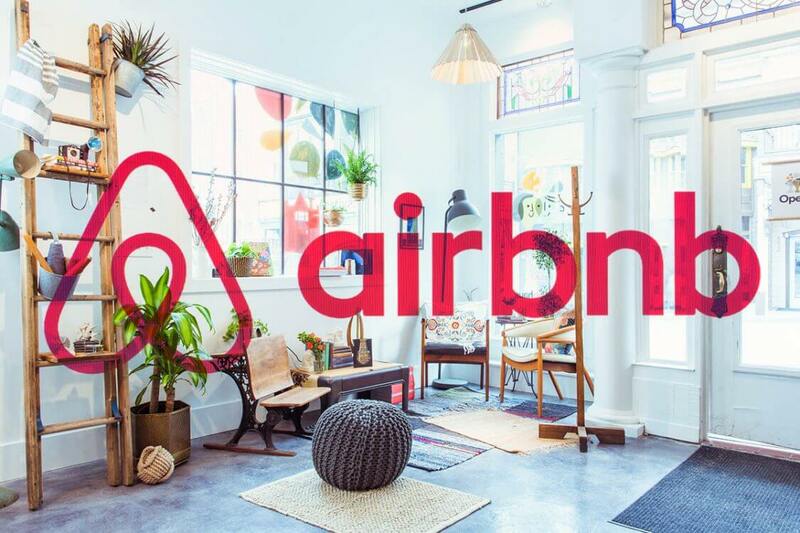 Sign up for Airbnb and read over the terms and conditions as well as their policy regarding reimbursement for damages and cancellations. Figure out whether their policies align with what you want. Next, check your area for any restrictions on short-term rentals. This is most often only something you’ll encounter if your cabin is within city limits. But find out if there are restrictions before you invest any more of your time or energy. And consult a lawyer while you’re at it. Learn about your rights and liabilities. You will need to update your insurance without a doubt, but make sure you understand the big picture before embarking on your new enterprise so there are no surprises later. 2. Take a look around. What do you have around the cabin that could be considered an amenity? Is there a great spot on the property for fishing or swimming? Do you have a hot tub on the back deck? Is there a playground area within walking distance? Is there wireless internet access? Do you have cable or satellite? Consider all the perks of staying there, especially the simple stuff you might think no one else will appreciate. You know, like sitting on the covered porch in the morning before the dew has dried off the grass. Or being able to make your meals there in the fully-stocked kitchen so you don’t have to leave unless you want to. Itemize all your cabin’s amenities and features, and keep it handy. You’ll need it to write your listing and advertise your wonderful retreat. But before you do, there’s something else really, really important you need to get done. 3. Hire a real estate photographer. A professional who has experience photographing real estate will be your most invaluable asset. Photos that accurately reflect the beauty of your cabin and the surrounding area will do more for your listing than words ever could. Let your potential renters see with their own eyes the peaceful beauty, quirky ambiance, or rugged outpost that is your cabin. Great pictures will do most of the work for you. 4. Figure out how you’d like to check guests in. You have a job and you can’t be there to meet every guest whenever they happen to arrive. So what do you do? To keep your property safe, it’s best to install an electronic lock that can be unlocked with a code you can easily reset after your guests leave. Short of that, look into a combination box that has been built specifically for this purpose. There are combination-lock boxes you can mount on the wall next to the door for easy access. And some allow you to change the combination as needed. Once you’ve decided how guests can let themselves in, it’s time to think about how you can make sure the person who shows up is the person you’ve contracted with for the short-term rental. It wouldn’t be good if you both agreed there will only be four people staying, but you find out those four people invited their closest 50 friends and had a party at your place. If you can’t be there, ask your cabin neighbors who are home frequently, If they wouldn’t mind checking on your place for you. Requesting a phone call if a lot of vehicles or extra people arrive at your cabin is also a good idea. It’s time to write that listing and add beautiful photos to your Airbnb profile. However, there’s an important piece you can’t forget: your profile as a host. You’ll need a nice, friendly-looking photo of yourself, and you’ll need to make sure you’ve verified your information. Put together a list of amenities in the area for potential renters to explore. Things such as places to eat, recreational spots, and fun activities. Give your guests a way to contact you in case of emergency (the hot water heater went out, someone broke in, a pipe burst and water is spraying everywhere, for example). Put the number right on the refrigerator, or leave a note with the wifi password. After you’ve had a guest, make sure to leave feedback for that guest that lets other hosts know how it went. Respond to any feedback left by your guest as well. Keep up the good work, and you may become a Superhost. If you really enjoy the experience, you can always add another cabin to your Airbnb bookings. And of course, we would be happy to help you build the perfect cabin for your needs. Contact us today about your next Leland’s Cabin.